What to know before getting reliable residential roof replacement services? You would agree with me if say that roof replacement is a major undertaking that takes a lot of time and hard work. You spend a lot of money on it to ensure that a damaged roof doesn’t bother you or your acquaintances. From the shingle style to the color of the roof, you give deep thought to everything. It is undoubtedly important to find the reliable residential roof replacement services so that you don’t have to face any kind of hassle in the later stage. Your roof is a lot more than just a hat of your home. It is that important thing that protects you from the elements. There are many instances when your roof needs a repair or reroofing. But if it has damaged or missing shingles, it’s high time that you think about replacing it. The first thing you must do is get your roof inspected by a reputable roofing company and find out whether you need a partial or complete roof replacement. You must be very careful while making your decisions because it is not just about the investment; it is a lot more about the safety of your family. Before you take up the task, you must be known to some components of this task. Whenever you go to the market, you will find a number of new roofing materials. If you replaced your roof around 20 years ago, it is the time to find what new has come to the market. 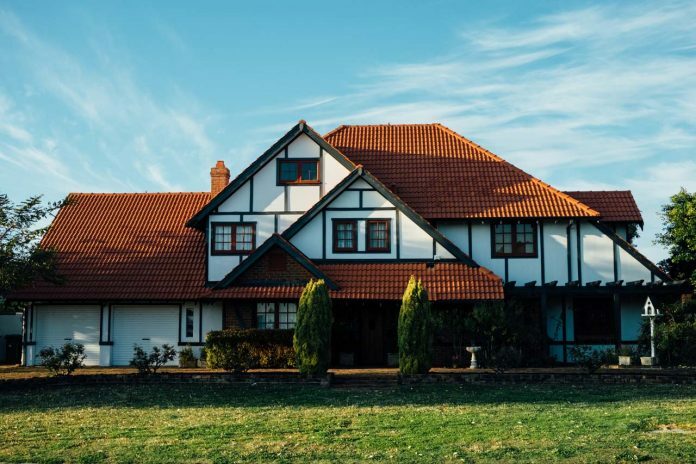 Apart from the traditional shingles like slate, shakes, and asphalt, there are other materials roofs available in the market that might prove to be better in terms of appeal and performance. The newer materials might cost more than the traditional ones but they will definitely last longer. You must find a suitable material for your roofing in accordance with your requirements and budget. Having asphalt shingles on your roof currently means that you will have a choice to proceed with the new shingles. It all depends on what is already up there. You can have a maximum of two layers of asphalt shingles on your roof. This will help you in saving a lot too because you will be layering one layer on top of the other one. You can do it once only and if you live in an area of heavy winds, stripping is a better option for you. You will have to go for stripping if you already have two layers because your roof won’t be able to handle the weight of the third layer. You must be prepared for the loud noises that will be a result of the roof replacement. The scarping and stripping of old roofs and the hammering and installation of the new roofs will be quite noisy and you better keep yourself prepared for that. If anyone in your house is sensitive to noise, you must find a place out the doors. You must also be prepared for keeping the shingles when the installation is going on. These take a lot of space and you must make sure that your way is not blocked when the shingles are unloaded from the truck. Before letting roofers up on the roof, you must be prepared for the whole installation process. You must know if they will be layering or stripping and if there is going to be a height difference if they are partially roofing and how they are taking care of the flash and trim in the appropriate areas. Any reputable roofer will let you know what he is doing because they know that this way you will be able to make the right decision. You must put efforts to find out the warranty of your new roof and what is covered under it. Replacing a new roof is an investment that doesn’t come cheap. You must be aware of what your warranty covers in case of a problem. You must not leave anything up to chance and always look for reliable residential roof replacement services. Roof replacement is a big investment and you better take informed, weighted decisions carefully before you make any choices because, in the end, you would expect your new roof to last for at least 20 years or 30 years or even more than that. And it is something that nobody wants to spend on every now and then. Myra Lee is the passionate blogger of the leading brand Max Roofing. It provides the professional roofing services for residential and commercial roofing, metal roofing, gutter installation, storm damage repair and replacement.